Looking for a HD video switcher? Want a good quality one rather than just something that’ll do the bare minimum? Well you’re in the right place! Today we’re going to compare some of the best HD video switchers so you can better decide which is the right one for you. What Should I Look For In An HD Video Switcher? 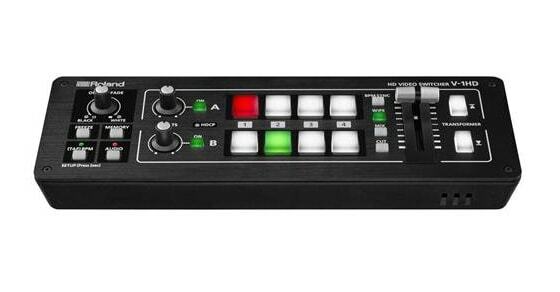 Can I Use My HD Video Switcher With Other Video Gear? What Types Of Events Would Necessitate An HD Video Switcher? 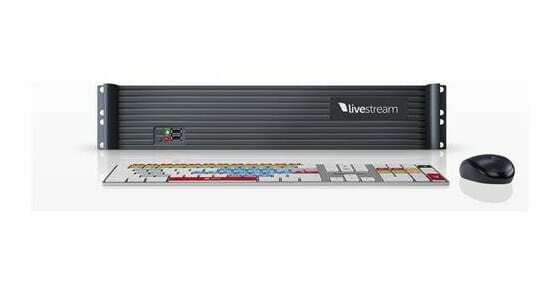 What Brand Of HD Video Switcher Should I Buy? Now this is one series piece of hardware! 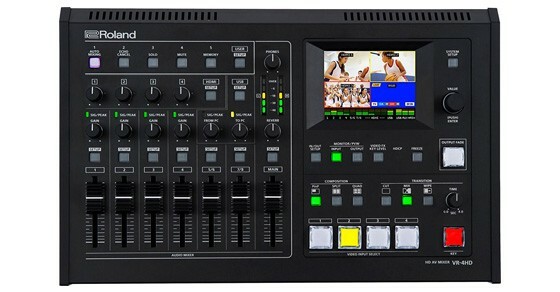 The AGHMX100PJ features an LCD menu, can facilitate up to seven video inputs (four HD/SD-SDI, two HDMI, and two SD composite), and contains more than 100 video effects. 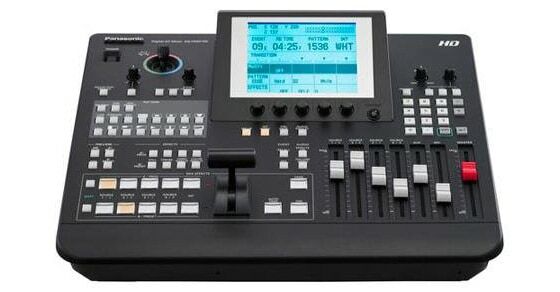 While this video switcher is top of the range and will likely be able to handle anything you want to do, keep in mind that two of seven inputs are SD only. Not an issue for most, but something to be aware of. Panasonic is certainly a contender in the HD video switcher field, so even if this product doesn’t fit your exact needs, other models may be worth a look. 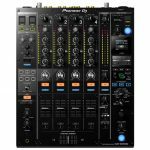 The HD31 promises a great deal: Three selectable HD-SDI/HDMI inputs, the ability to stream and record up to 1080p, and built-in Multiview and audio mixer. Since it’s essentially a computer, its specs are: Intel Core i7 4.0 GHz, 16GB RAM, and 2TB hard drive storage. Additionally, Livestream has many other products in their catalog. The VR-4HD is a little more than just a video switcher, and you would certainly hope so at the cost. This is an all-in-one production solution. It’s portable, and has a built-in USB 3.0 connection for web streaming and recording. It’s a six-input, four-channel video switcher that supports HDMI, RGB/component, and composite video inputs up to 1080p. If you’re interested in an all-in-one audio and video solution, this Roland is worth a look. 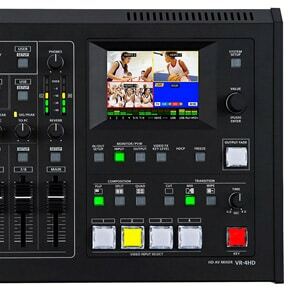 The SE-650 HD is a four-input, four-channel video switcher with a six-channel digital audio mixer. It has built-in transition, wipe, and fade effects for smooth changeovers. It offers both HD-SDI and HDMI video inputs. This is essentially an all-in-one solution for both audio and video. If you need more than just a video switcher for your production, you might consider adding the Datavideo to your shopping list. The Roland V-1HD comes with an AC adaptor, power cord, cord hook, owner’s manual, and a 90-day warranty. For what it does it’s quite affordable. Its video processing power is 4:2:2(Y/Pb/Pr), 8-bit, and features HDMI inputs and outputs. The Amazon reviews for this unit are all around quite good. There are a few people that have had a not-so-great experience with the Roland, but for the most part people say this unit is great value. Everyone has different needs. There is no catch-all solution. You’ll want to purchase based on what you’re planning to do with the video switcher. A simple, low-cost unit might be great for a YouTuber, but simply insufficient for a large church. Your switcher should scale to the situation. Nevertheless, here are several criteria you should consider when looking at what HD video switcher to buy. Naturally, you don’t want your video switcher breaking on you with the slightest of damage. Unfortunately, there’s no way to test the durability of video switchers, but you can always look at reviews or ask around to get an idea of how well a unit has worked for others. Nothing is perfect, and sometimes products arrive in boxes damaged. But this doesn’t necessarily mean it’s a bad console. Again, look for outside validation or go to the store and test out the switcher for yourself. How many inputs do you need? For most smaller scale productions, you may not require more than one or two. With larger productions, you may need more. Additionally, if you have mixed connection types and format resolutions, it’s worth looking at purchasing a scaling switcher. They take all your connections and process them into a standard output. Switchers with scaling engines, however, are typically more expensive, and have latency issues. Using just HD signals (or just one kind of signal in general) can help you eliminate the need for a scaling switcher. SDI connections are still preferred by many, even over HDMI, so a console that offers both or just SDI is generally best. HDMI connections are great for use with computers, but not necessarily with other devices. HDMI cables also used to be a lot shorter than they are now. These days, you can find 50 foot HDMI cables, so they’re getting to be more convenient than they used to be. The quality of the video is obviously important, especially if you’re planning to charge clients for live video work. For your personal projects and in-house work, it doesn’t matter as much. You may think HD is HD, no matter what, but this isn’t necessarily the case. Do your research or test out the gear before committing to a specific unit. In some cases, you may be able to rent video switcher equipment to test it out for a minimal fee. I also talked about latency issues. This may not have a direct impact on the quality of the video per se, but you may not be able to switch between different input sources as quickly as you could with a console that has minimum latency. So, the production value you can offer might be affected slightly. Effects are just for show, right? Well, you might be inclined to think so, but it can be a major consideration for AV techs and musicians alike. Don’t get me wrong – oftentimes, the more effects the console has, the more it’s going to cost (though not always). I’m not trying to steer you in the direction of a more expensive video switcher you don’t even need. Your use of effects largely depends on how you intend to use the switcher in the first place. Hip hop artists and VJs tend to love the beats per minute function that allow transitions and effects to be synced up to the beats of their music. Only specific switchers have BPM built in, so if you want this feature, you’ll want to buy a console that has it. 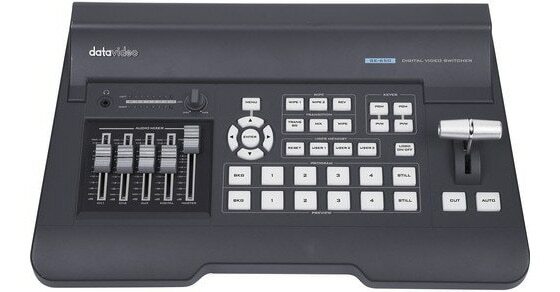 Some switchers also come with MIDI-input, which allows you to control video with the use of electronic instruments. Again, certain artists may like the automated aspect of being able to control their live experience via MIDI. So, as you can see, there are certain features you might want. It all depends on the situation and what you’re trying to achieve. Price is an important consideration, especially if you’re on a budget. Small theater, church, or music production crews probably won’t require the use of an all-in-one AV solution. A simple video switcher would suffice. Don’t overextend yourself if you don’t have to. When browsing, think carefully about how you’re going to use your video switcher. There are certain functions you may not require depending on how you intend to use it, so there’s no point in paying for functionality you won’t even use. If you’re in a situation where hundreds of people are attending your events, then you probably have a budget to afford better gear. Does the HD video switcher do audio too? Does it have s built-in BPM function or MIDI-input? What effects does the switcher have? You may not need all these bells and whistles, but sometimes it’s nice to have the flexibility. Don’t pay for features you aren’t going to use, but also don’t put off buying a console with features you know you’re going to need down the line. Whether we’re talking audio or video mixers, there’s always a bit of a learning curve. But some video switchers are easier to learn than others, and if you happen to be using yours for community events, and you know there will be many different techs using it, then user-friendliness needs to be at the top of your list. That is, of course, unless you want to spend a lot of money training your team. If you’re the primary user of your video switcher, then ease of use may not be as big of a deciding factor. It basically comes down to how much time you’re willing to spend learning to use it. Generally, yes, but it depends on the gear and the connections. In some cases, you may need to get the right cable converters to get it to work with your camera or video device. If you’re using the Roland V-1HD, for instance, you may need to obtain HDMI mini to HDMI converters for use with a Digital SLR camera or camcorder. Basically, you just need to familiarize yourself with your gear. You may need to purchase additional converters, cables, or outboard dongles to get everything talking to each other. Virtually any event where you’re planning to use multiple video feeds. If you need to transition from one input source to another smoothly, and presentation is important to you, then you need a switcher. For example, let’s say you’re capturing video from multiple sources at a live event. You may have one camera positioned centrally, but you may also have cameras at the left and right angles of the stage too. With a video switcher, you could easily select which input source you wanted to appear onscreen at any given time. Many churches now use video switchers, because it allows them to use footage from a variety of angles, pop text onscreen, simulcast to the displays in their lobby, and so on. Video switchers are also great for webcasts and video podcasts. Instead of just having one camera positioned centrally, you could have cameras capturing footage from different angles. You could also have closeup cameras, and ones that are further away from the speakers. In instances where you only have one camera, you don’t have multiple inputs, or you don’t need to switch between feeds, you wouldn’t need a video switcher. Sometimes simple is best. 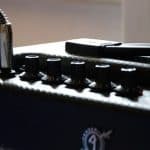 At this moment in time, Roland seems to have the market cornered, and they have everything from simple, low-cost consoles to more sophisticated and expensive solutions. This isn’t to suggest that other brands aren’t worth looking at. Panasonic, Livestream, and Datavideo all offer comparable products. 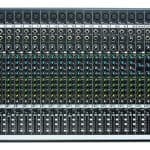 But unless your needs are somehow unique or out of the ordinary, you can probably find a Roland console that gets the job done. Video switchers are most commonly seen in theatres, churches, and in venues where video projection is frequently used. But they can also be used for an artist or band’s live show. Even a boring live performance can sometimes become exciting with the use of lights, video, and other special effects. And if you’re going to do live video anyway, it may as well be HD, right? Video production continues to elevate in quality, even in the most commonplace venues. Additionally, the price of gear continues to come down. A HD video switcher is now well within reach, even for smaller communities, churches, theaters, or AV techs. Even with decreasing prices, however, you still get what you pay for. Take your time and research your options. Think carefully about what you need your video switcher for, and how you’re planning to use it. 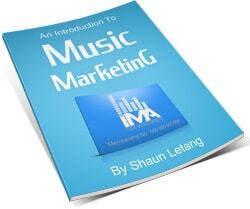 Match it to the quality and level of production you intend to use it for.